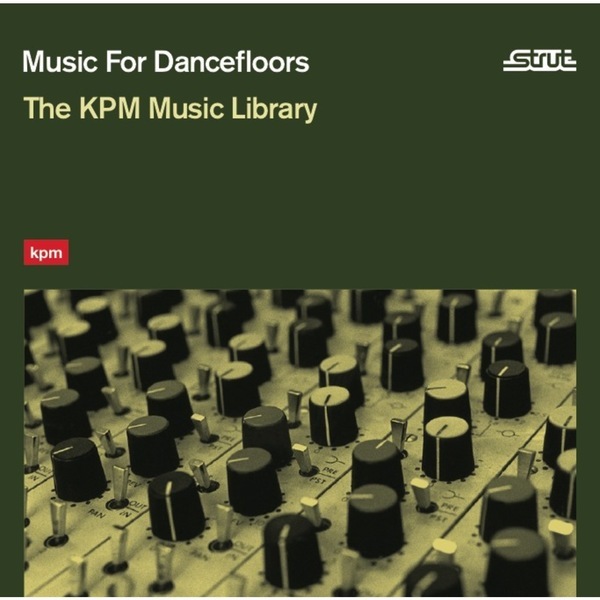 **Classic funky library zingers from Keith Mansfield, Alan Hawkshaw, and co. Includes bonus disc recording of KPM All-Stars Live at Jazz Café, London** "Out of print for years, our Music For Dancefloors release collects some of the best of KPM's catalog, with an ear not just for loops and breaks, but quality compositions and performances that stand the test of time. Includes key cuts like Alan Parker’s ”That’s What Friends Are For” featuring Blue Mink’s Madeline Bell on vocals, Alan Hawkshaw’s “Senior Thump” (a precursor to his work as The Mohawks), and Keith Mansfield’s “Crash Course,” each one a classic in its own right. Originally recorded as a source of go-to material for use in film, television and radio, library music wasn’t intended to be enjoyed in a home listening context, and often wasn’t available for commercial release at all. However, due to the quality of the musicianship and the stripped-down arrangements, music from the best libraries has become extremely sought-after by DJs and producers. The UK's KPM library (especially its green "1000 series" of the 60s and 70s) is easily one of the most legendary sources of library funk. KPM music has been sampled by the likes of Jay-Z, DOOM, Madlib and Guilty Simpson, Dangermouse, Action Bronson, and even turns up in the opening of Quentin Tarantino’s film Kill Bill (via the Grindhouse promo spot which uses Keith Mansfield’s “Funky Fanfare”). This new edition features an exclusive bonus disc, which makes available for the first time the debut gig by the KPM All-Stars, bringing together many of KPM’s greatest composers for a unique night at London’s Jazz Cafe on 27th April 2000."